The Project Management Professional (PMP®) certification administered by the Project Management Institute (PMI®) is the passport to international recognition for experienced project managers. Candidate Project Management Professionals are required to have at least 7 500 hours or a college/university/equivalent degree plus 4 500 hours of project management working experience. Candidates must also have at least 35 contact hours of project management education. Please take note - the PMP® certification preparation course is more about how to interpret and respond to the exam questions and less about practical project management. It is assumed that delegates know the basic principles as defined in the PMBOK® Guide and other practice standards. Meet the above required experience. 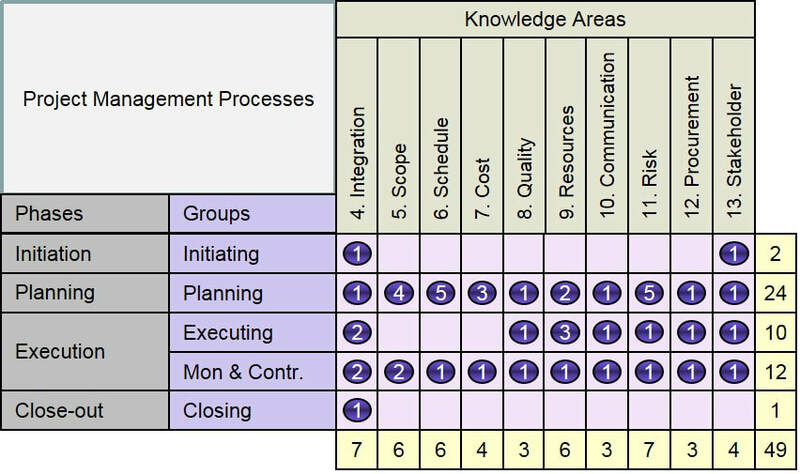 Have a basic knowledge of the project management principles as defined in the PMBOK® Guide. Need coaching on how to approach the PMP® certification exam. ​To give guidance in applying for the PMP® examination. This 5-day course comprises 35 hours of instructor-led training. Delegates will take chapter tests during the course (maximum 240 questions). Delegates are provided with an e-book version of the book PMP: Project Management Professional Exam Study Guide 9th Edition by Kim Heldman. Over two hours of audio instruction with the author (Kim Heldman) reviewing essential PMBOK concepts are also provided (One-year access). Please note that the course is based on the Guide to the Project Management Body of Knowledge (PMBOK® Guide) - 6th Edition, but due to the fact that electronic copies of the PMBOK® Guide are available to PMI members, this guide will NOT be provided as part of the course material. for more information or a quotation.